Born in Ferentino, Italy. Passed piano classes, compositions for orchestras in the conservatories L.Refice of Frosignone and G.B.Martini in Bologna under the leadership of professors M.V.Forgià, F.Creux and A.D’Antò Nowadays continues self improvement in musical art under the leadership of Jo Conjaerts (Nederland). Was a guest conductor in Friuli-Venezia Giulia, Sardinia and Portugal (Music conservatory’s wind orchestra of Lisbon). 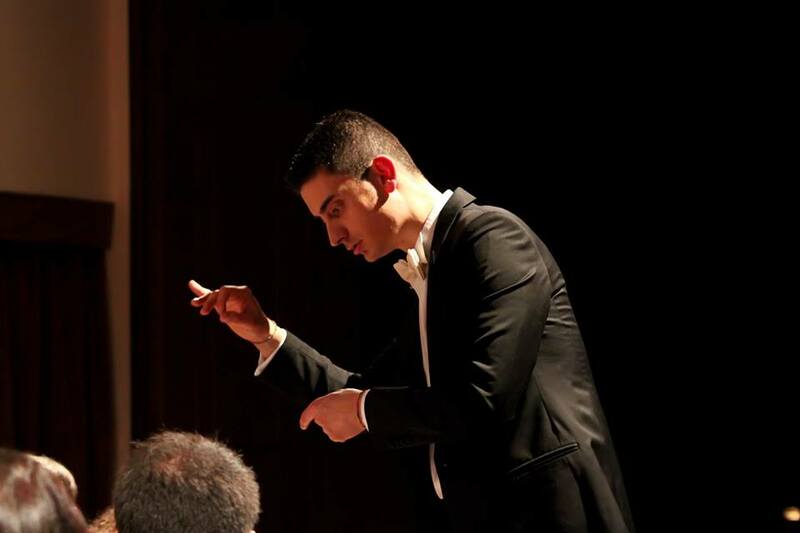 First awards as a conductor he won working on musicals “Etruscan evening” in Piombino and “Orton’s town” in Orton. Was highly recognized as a leader of an orchestra on international competition «Corno di Rosazzo» in 2009 and on international competition Flicorno di Riva del Garda in 2011. In 2006 became art leader and head of department of piano in music school of Ferentino. Since 2009 leads the orchestra Città di Ferentino, with which recorded disc Corciano in banda II for international composer’s competition. Is the organizer of international festival «Fiati in Concerto».